Great news! 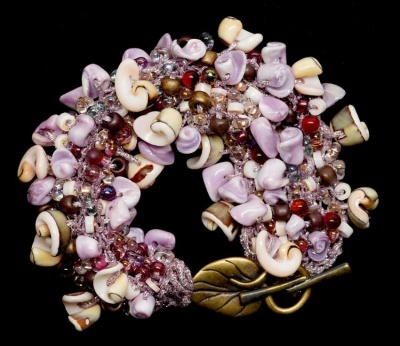 We found a new source for the lovely shells that are an integral part of this wonderful bracelet. And can again offer this in all its gorgeous glory! Beowulf talks of the Whale's Road as the name for the oceans of the world. Here we present a new Bead Stew Bracelet for your knitting pleasure. We love the overall look of this bracelet, done with real seashells that have been drilled to work as most lovely beads. Indeed, there are all sorts of special beads that go into making this most unique piece. We have some most intriguing beads to which we added some 2-3mm Heishi shell bead disks to add another intriguing dimension. They are soft pinks and whites and beige. 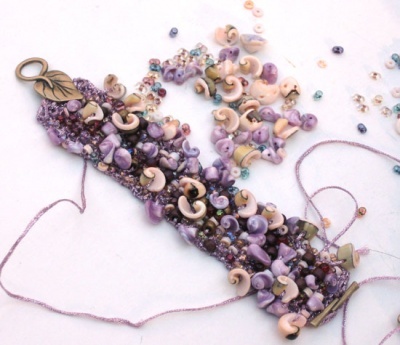 The mix of beads include a marvelous mix of many shapes and sizes, picked to work beautifully with the shells and thread. Each mix is somewhat different. Every time I make it up it is a bit like fine stew -- a bit of this and a touch of that and a pinch of the other. The overall look remains the same and each mix has a unique beauty. The shells are the best part. Some are larger and look like flowers-of-the-sea --- a rich pinkish violet in a 10mm size. Some are smaller, 4.5mm, called Cebu Beauty shells, in an orchid coloration that matches beautifully. We threaded these on Kreinik's Tapestry Braid #12 metallic thread in the color they call Rose Hip. 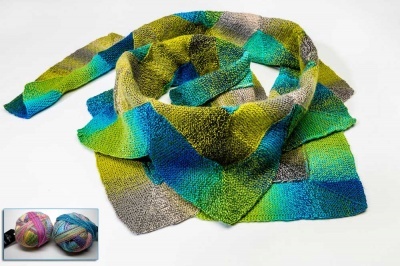 This is a perfect color for the beads -- really enhances the look. The clasp will be one of our goldtone toggle clasps, though not necessarily the one you see in these photos. The ones we used in this original are in very short supply (and we cannot seem to get more) but we will choose a gold-toned one, especially to fit with the rest of the bracelet. 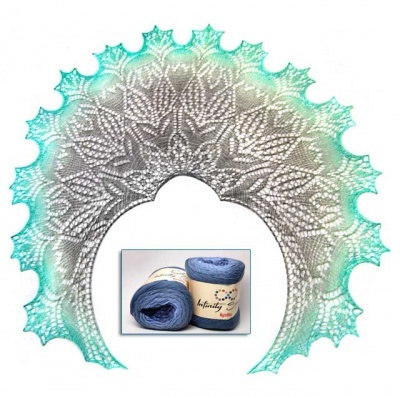 Note that the kit will not automatically include the pattern. We offer three options. I know some of you might already have made other bracelets from us that are made along the same lines, the only real changes being the beads and the colors. If you feel you do not need another pattern, simply choose "No Pattern Needed." I am very pleased with the look of this. And want you to enjoy. It is a very special bracelet indeed.